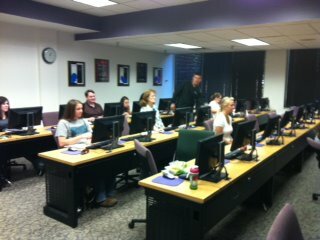 Welcome to Tarleton Tip Thursdays, where every week we help you harness the power of social media. This week's post discusses live blogging, which is when blog entries are posted about an event as it occurs. Blogging is relatively new to me and I’m always working to come up with creative new ideas. 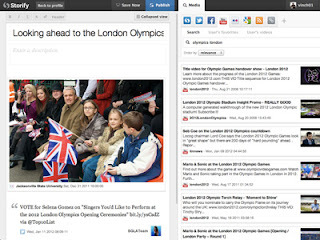 If you’re new to live blogging, two platforms I suggest are Storify or CoveritLive. Both create an interactive experience for readers. This includes incorporating images and videos as well as pulling in content from Facebook and Twitter. Reading the tips from Easley immediately made me think of upcoming TSMRI events that could be blogged live. Do you feel like expanding your blogging abilities? Maybe you’re already a pro. Either way, TSMRI would like to invite you to be a guest blogger at our event, Protecting Your Image and Marketing Yourself on Facebook, on Tuesday, April 12. This will be an informative event that will allow for great interaction with viewers. If you would like more information about being a guest blogger, contact TSMRI on via our website or on Facebook. Deana Coan is a Communications major at Tarleton State University and a Social Media Committee intern with the Texas Social Media Research Institute.